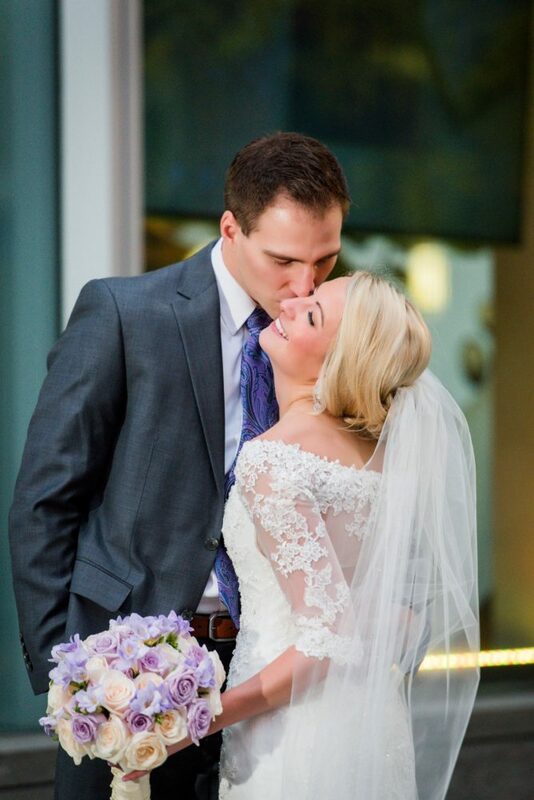 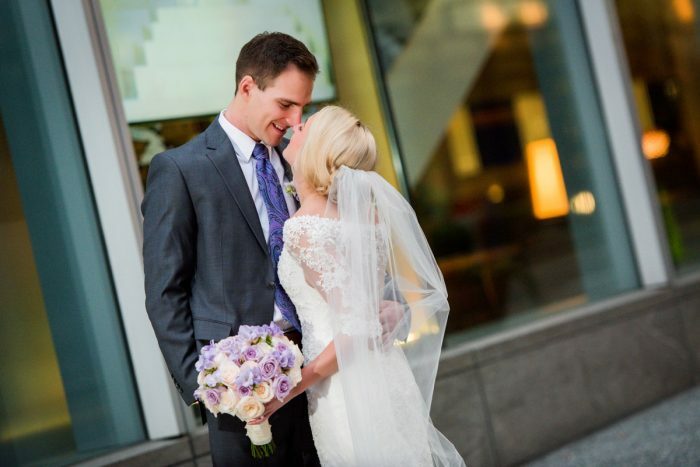 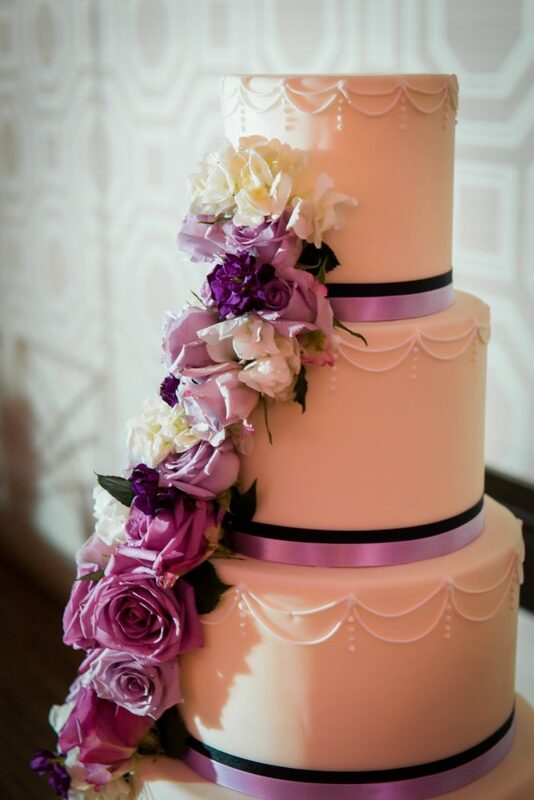 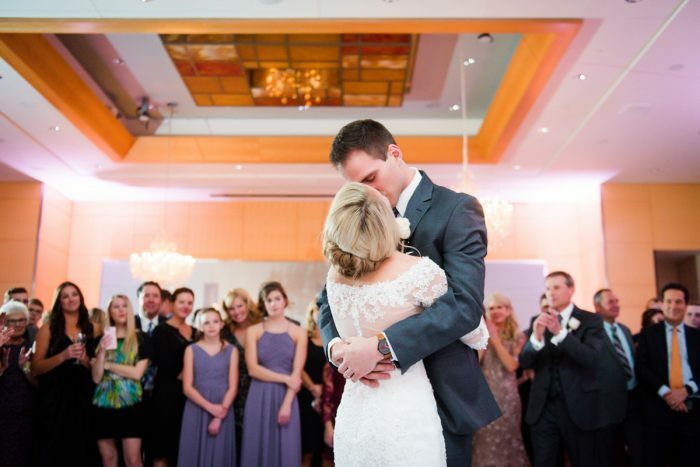 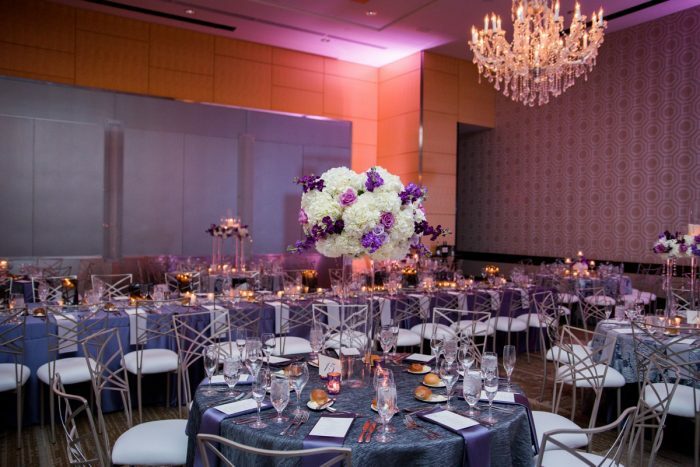 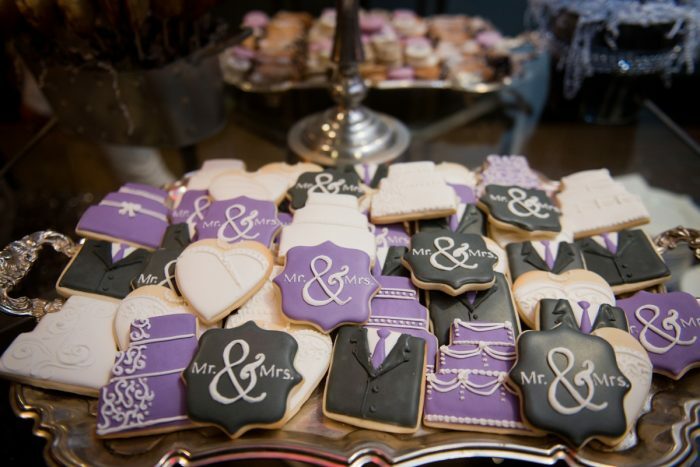 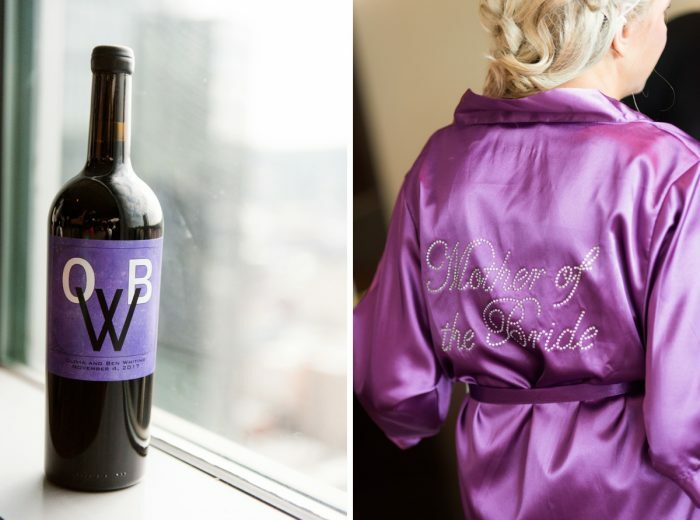 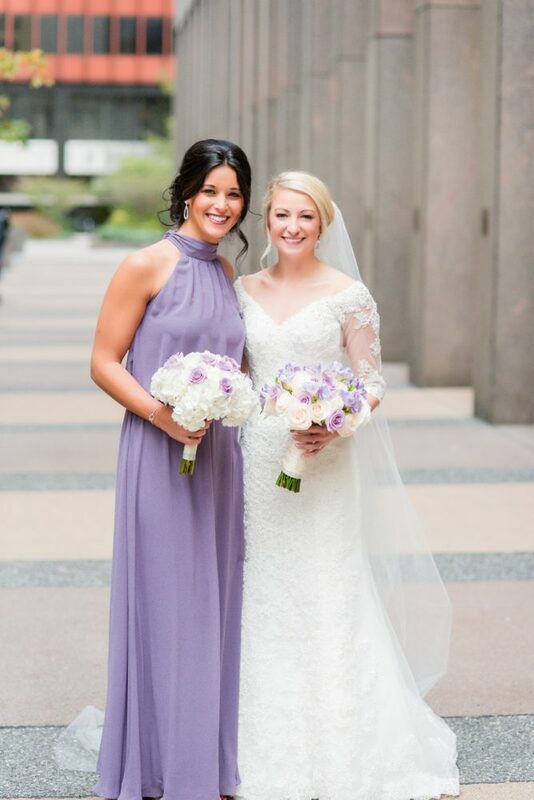 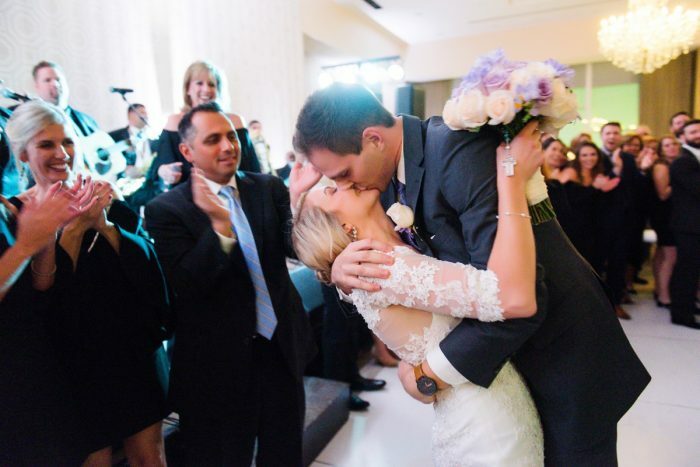 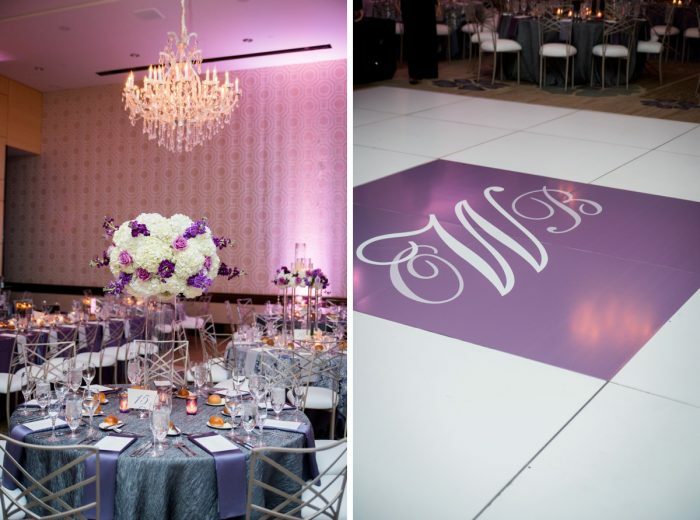 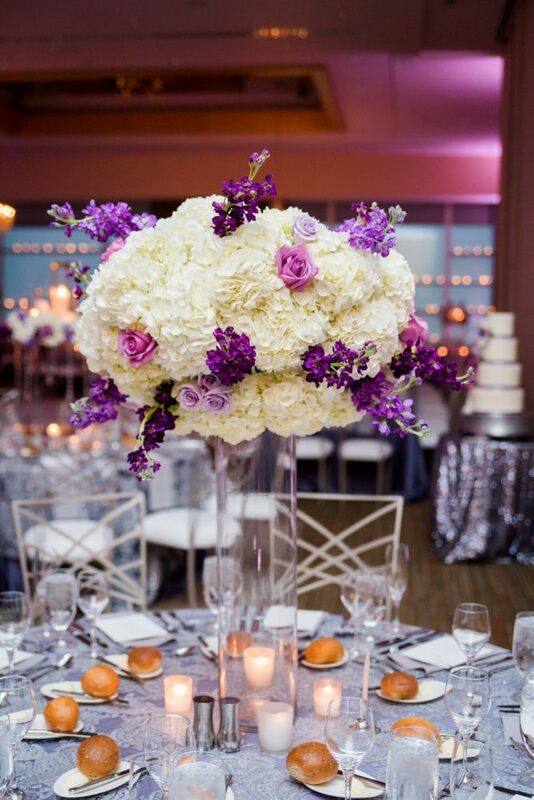 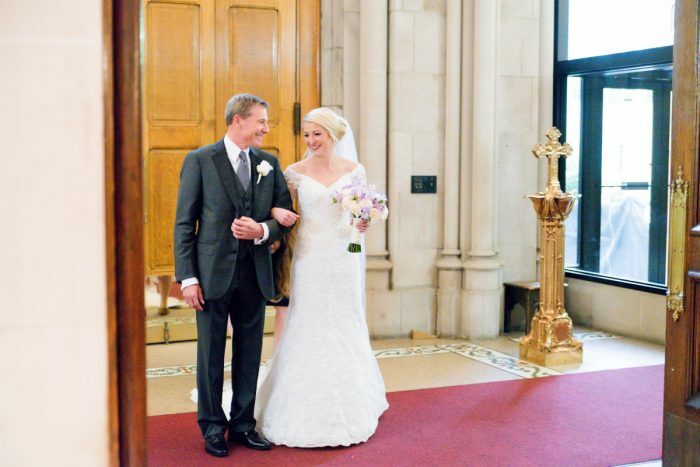 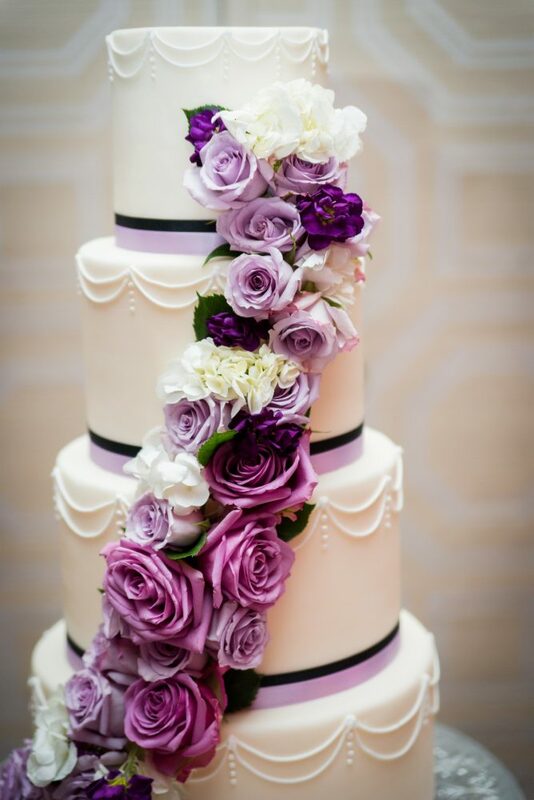 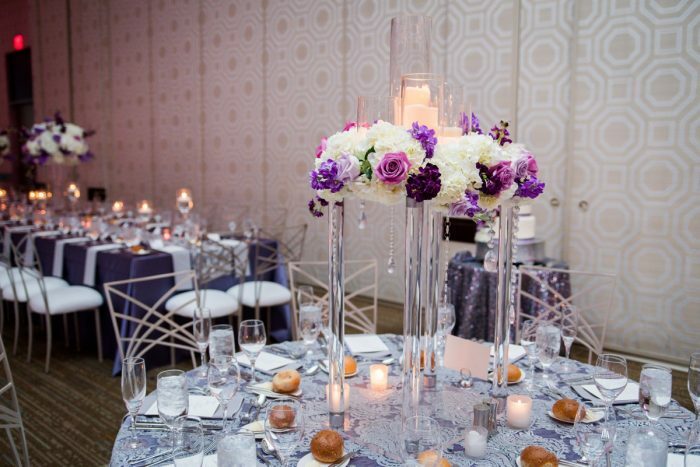 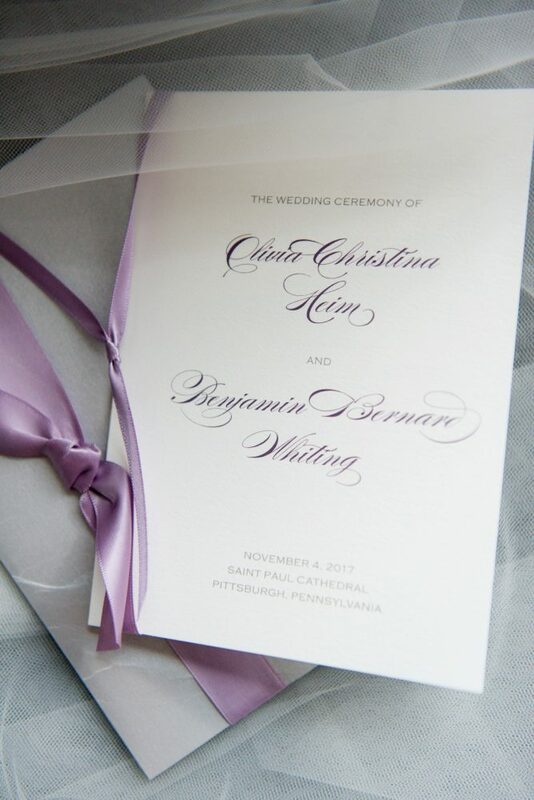 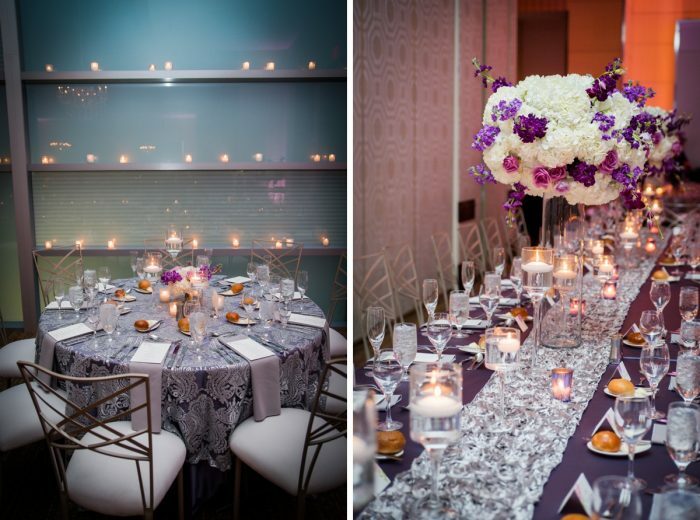 On par with recent trends, this purple & silver wedding at the Fairmont is hot hot hot! 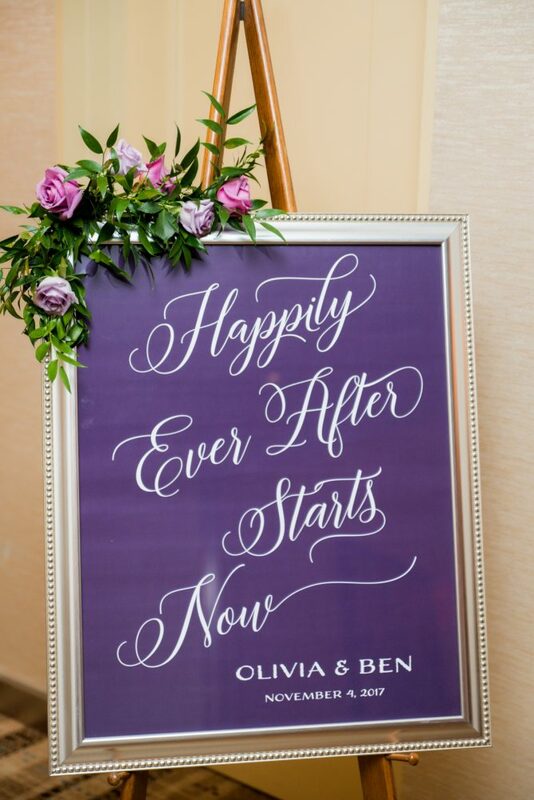 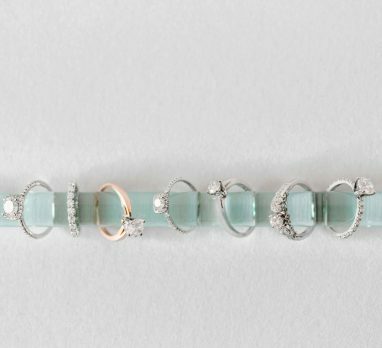 Olivia and Ben when for a softer shade of Pantone’s 2018 Color of the Year, and they paired it with lots of metallic details when they said I Do last November. 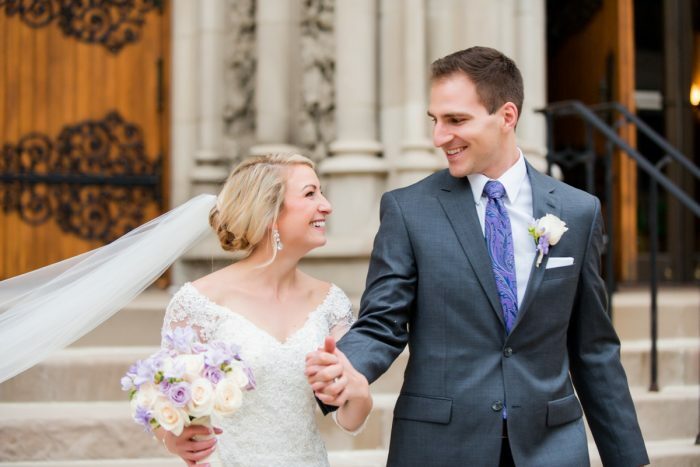 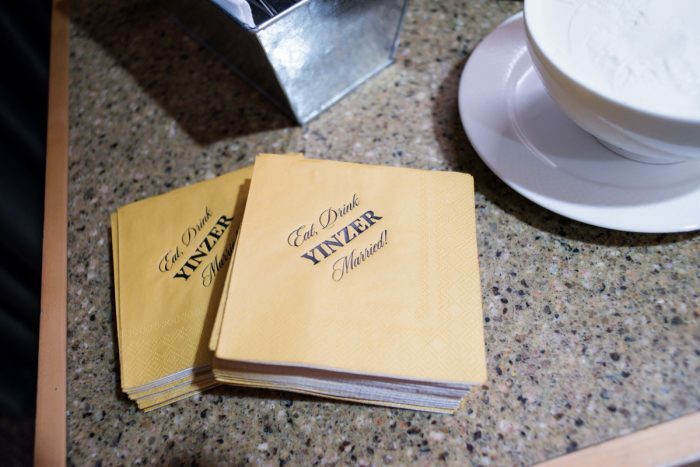 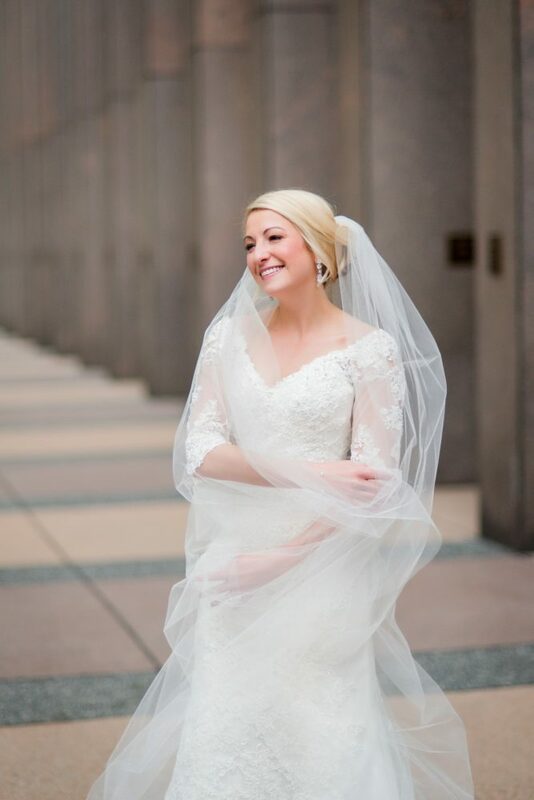 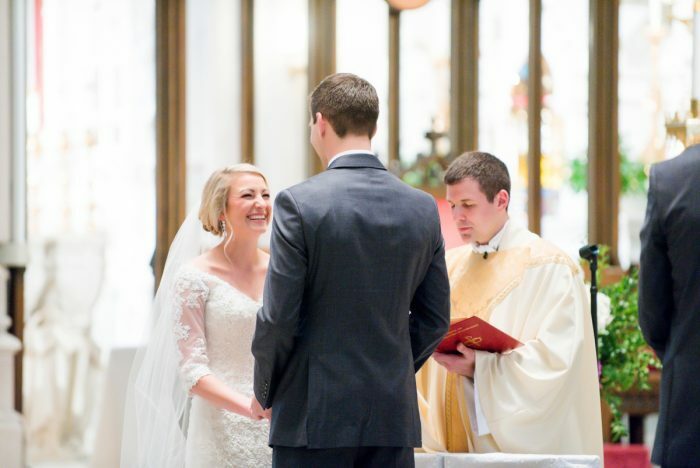 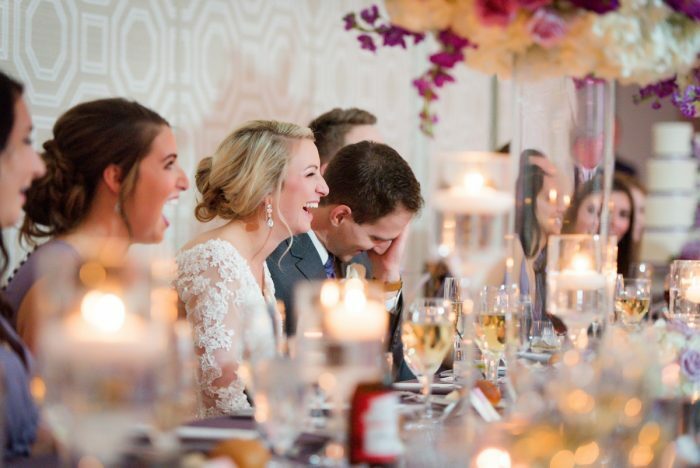 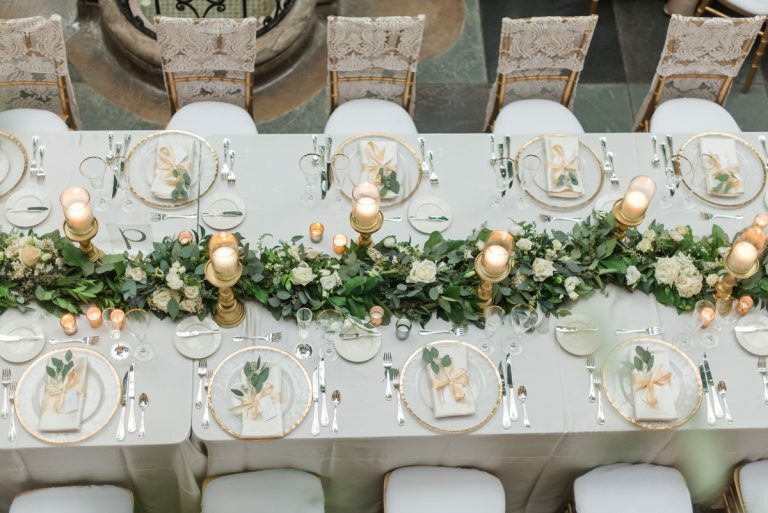 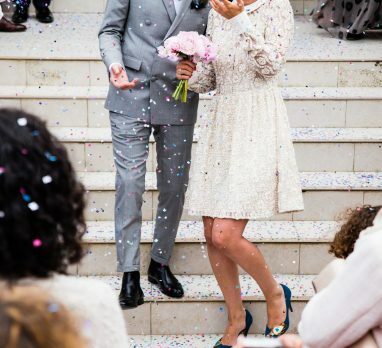 After a ceremony at St. Paul’s in Oakland, the newlyweds partied with their loved ones at the Fairmont Pittsburgh Hotel. 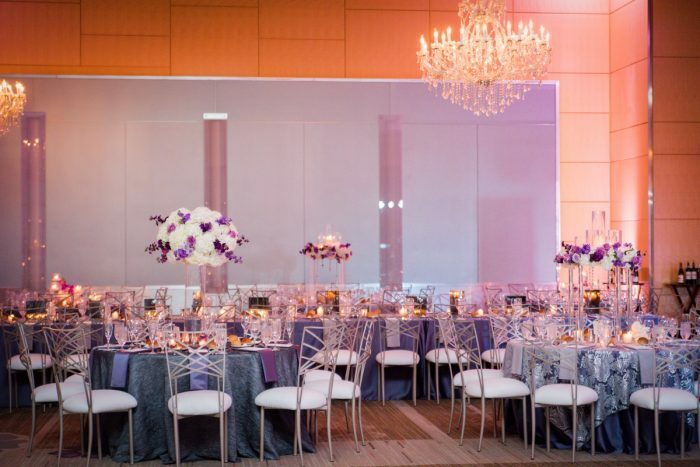 The ballroom was literally transformed into a glistening, glamorous space thanks to romantic purple and amber uplighting, tons of candlelight, and lots of sparkly details. 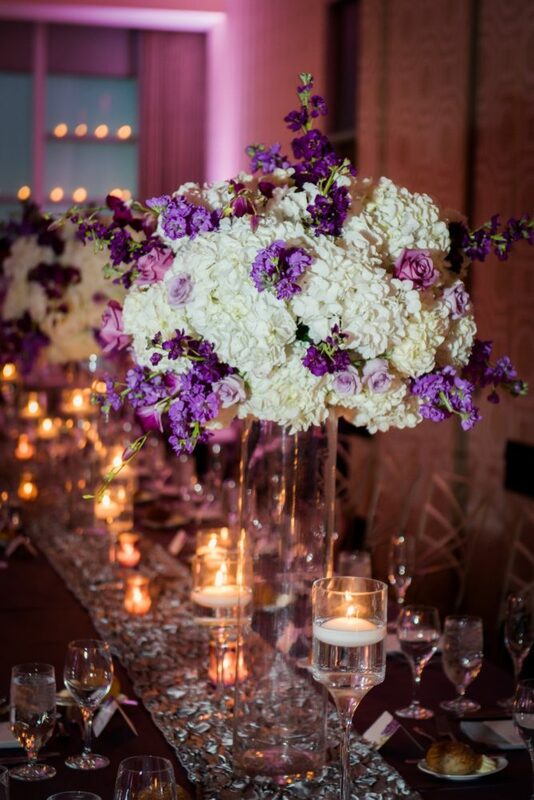 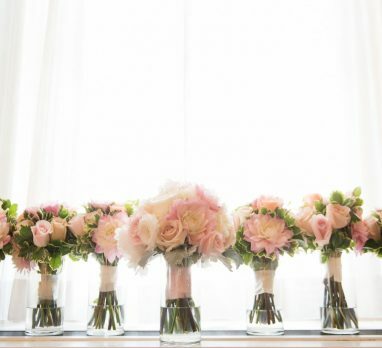 Crystals hanging from floral centerpieces, beaded and brocade linens, and silver charger plates decorated tables that varied between lush, elevated arrangements and a trio of glass centerpieces. 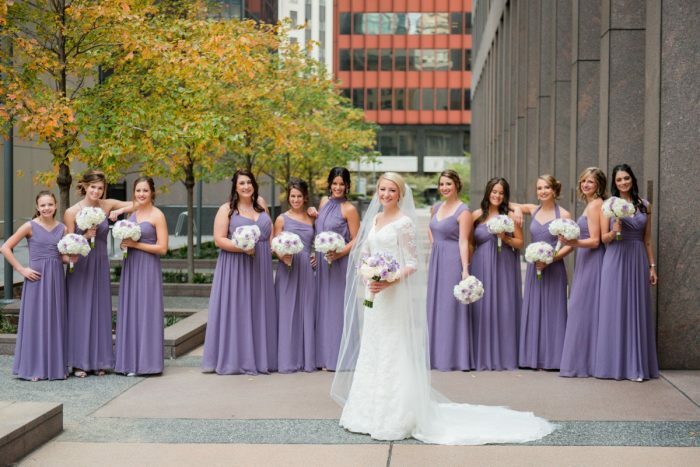 Lavender roses, lisianthus, sweet pea, and a variety of other purple flowers brought the color of the day to life, as did the groomsmen’s ties and the bridesmaids’ chiffon maxi dresses in a variety of necklines. 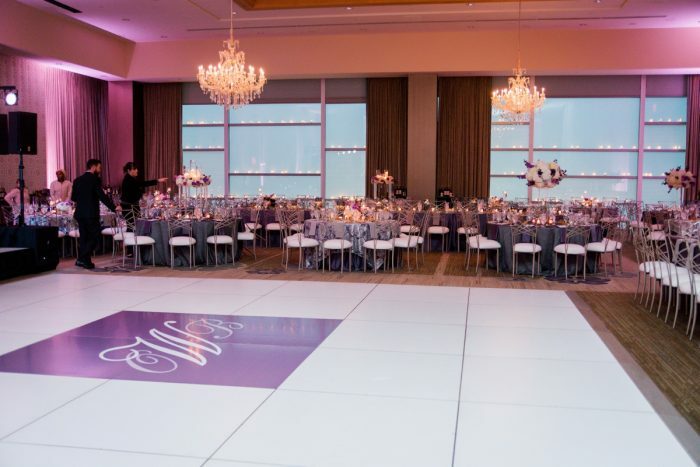 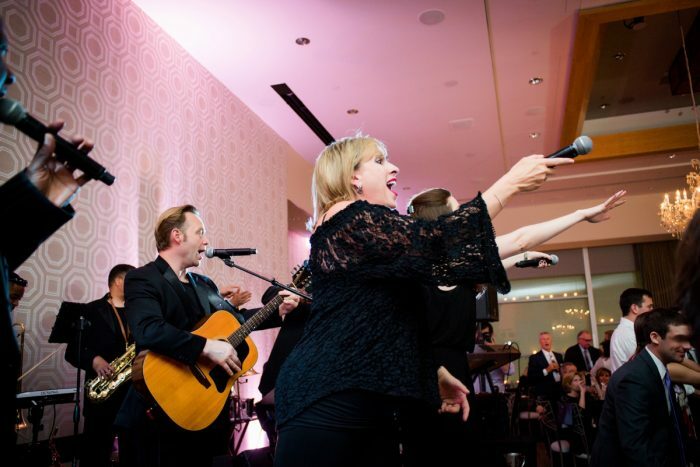 A personalized dance floor bearing the couple’s initials, a four tier fondant wedding cake featuring cascading fresh florals, and an assortment of custom miniature desserts rounded out the WOW features of this fete. 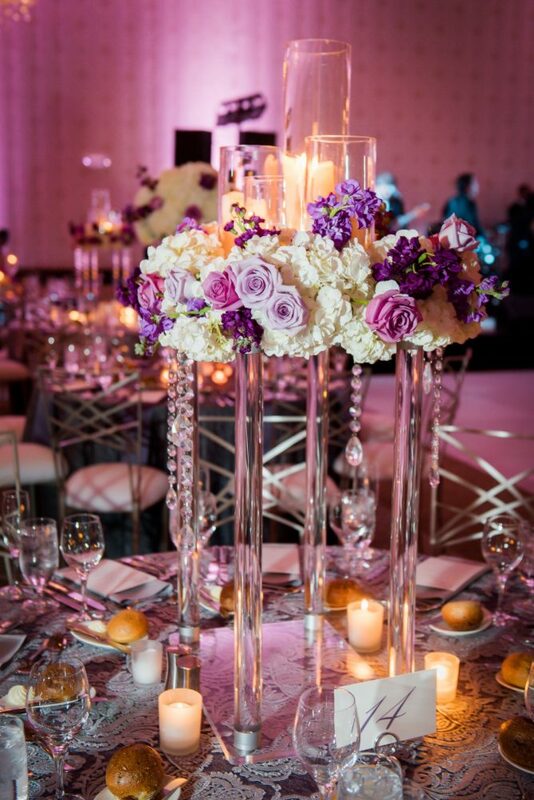 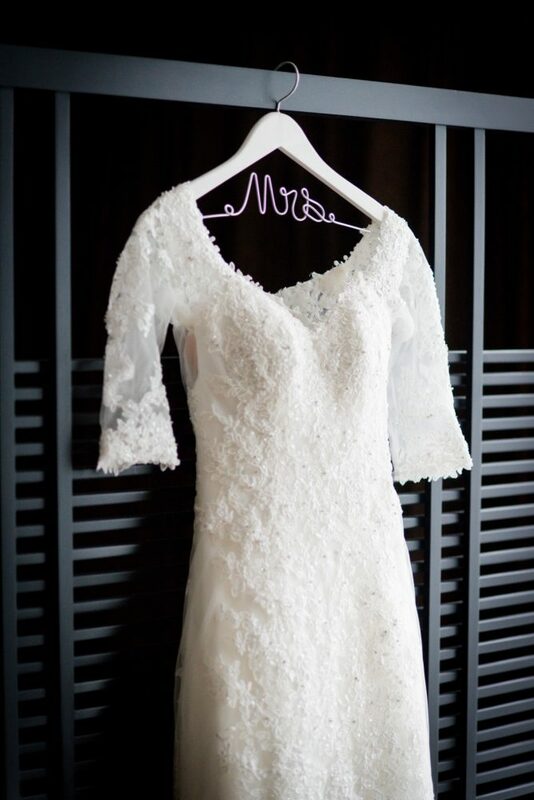 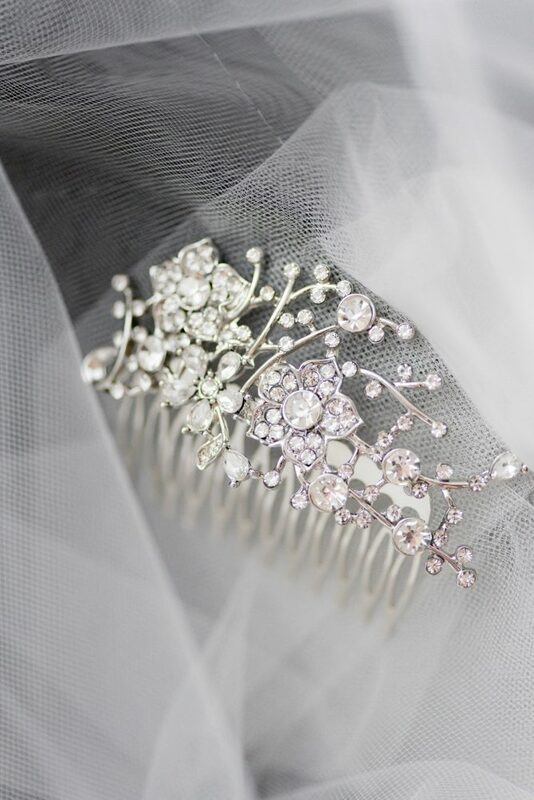 The feel was one of total romance and sophistication! 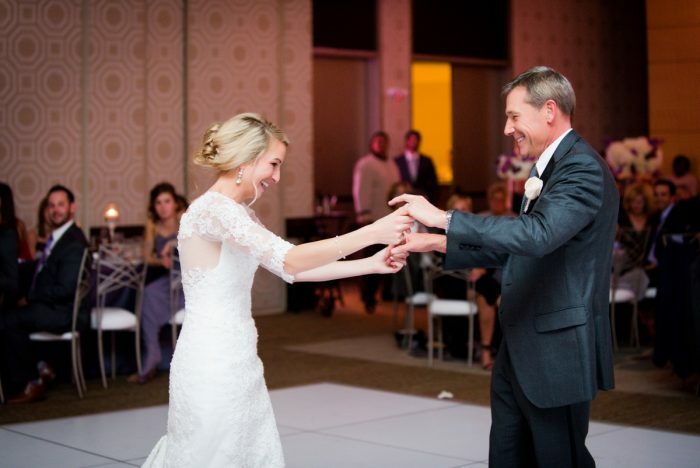 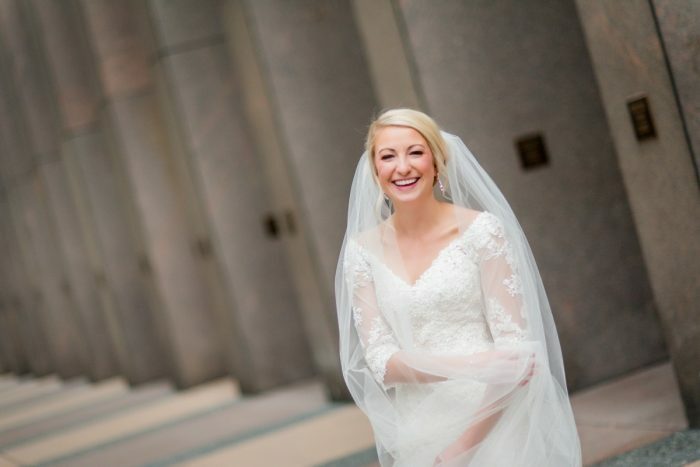 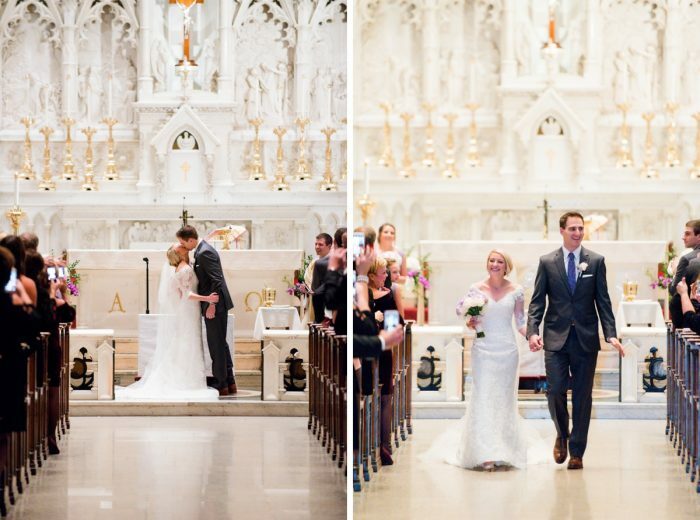 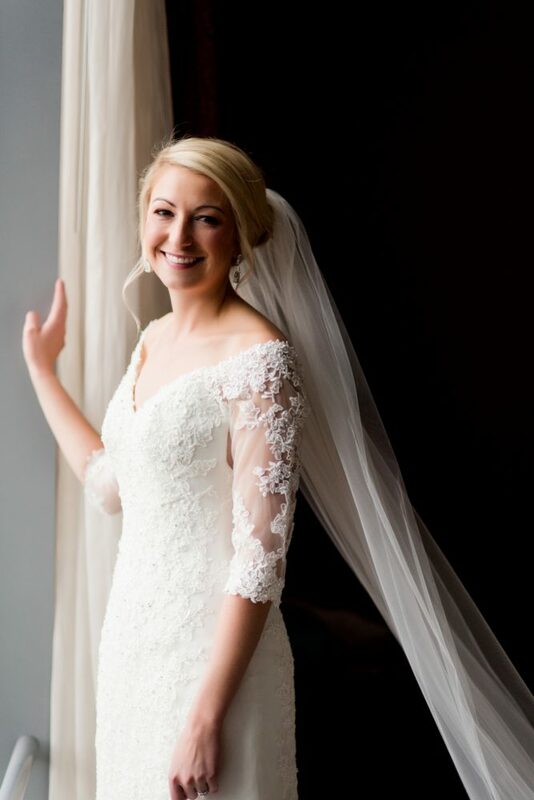 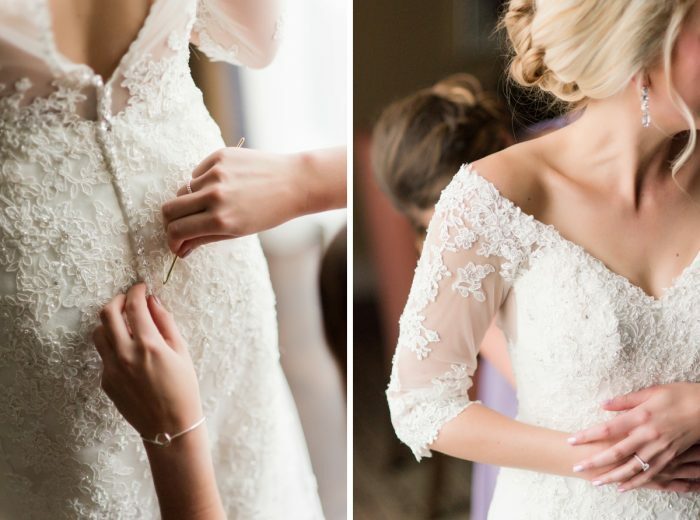 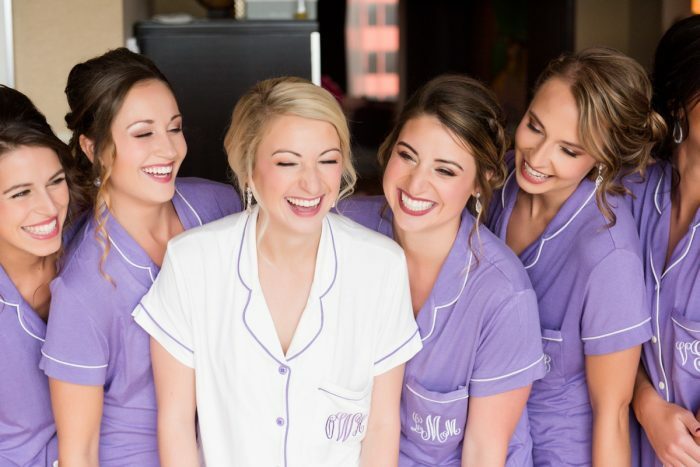 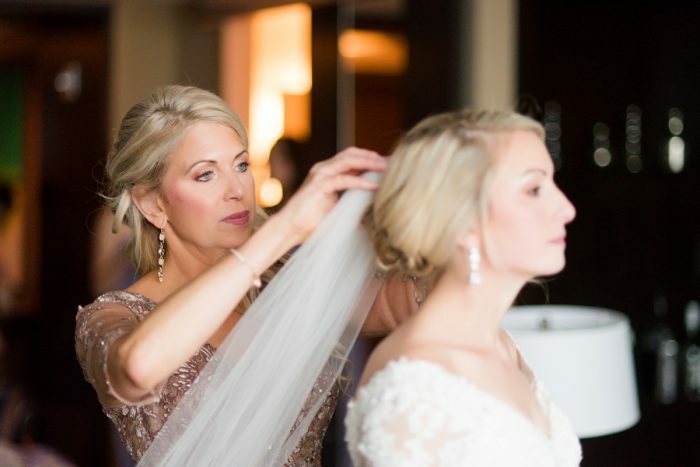 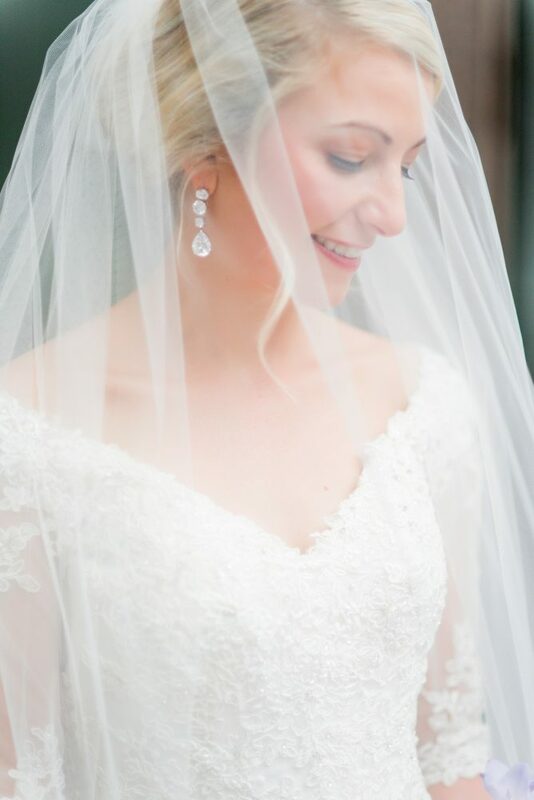 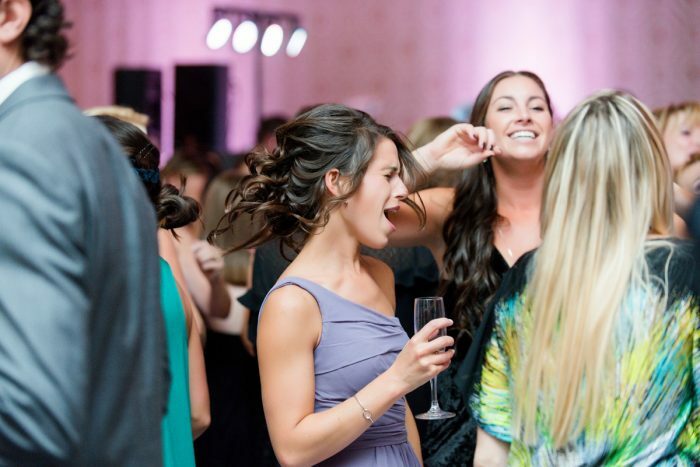 You’re going to DIE when you see these photos from Leeann Marie Photography! 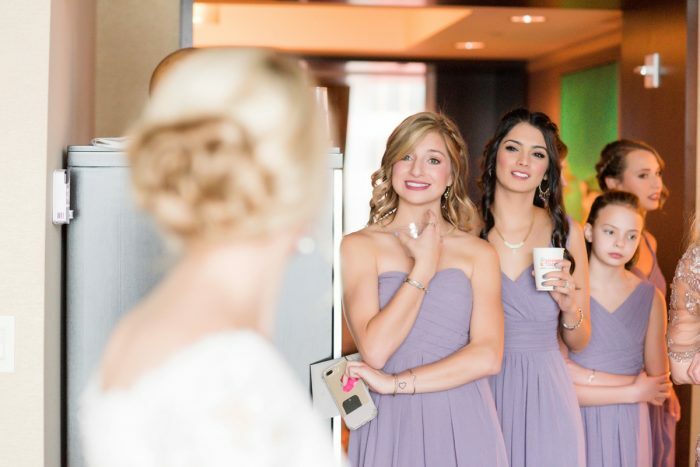 By the end of the summer, we knew no amount of distance would keep us from being together. 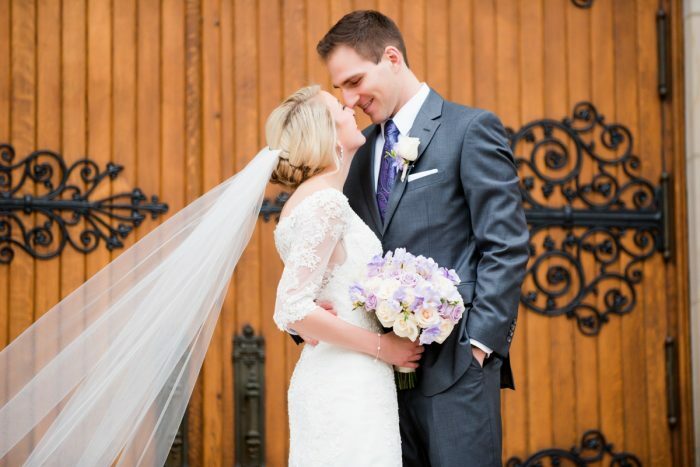 I returned to the University of Delaware for my junior year and Ben began schooling in Philadelphia, only a speedy 35-minute drive north. 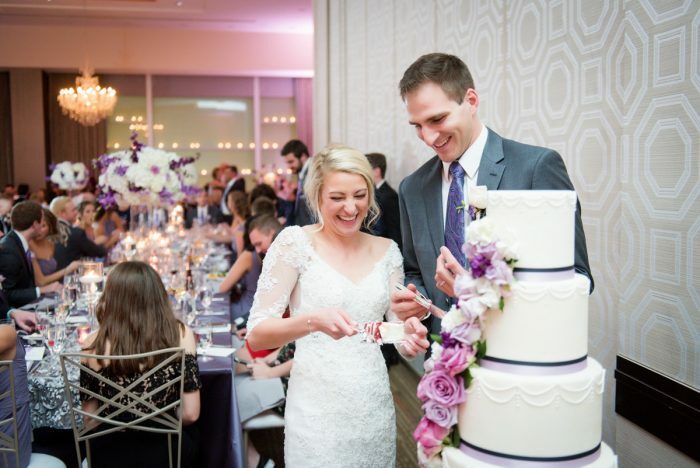 As we fell more in love, we endured two years of that commute, one year of living down the street from each other in Philadelphia, and two years of exorbitant PA turnpike tolls between Philly and Pittsburgh. 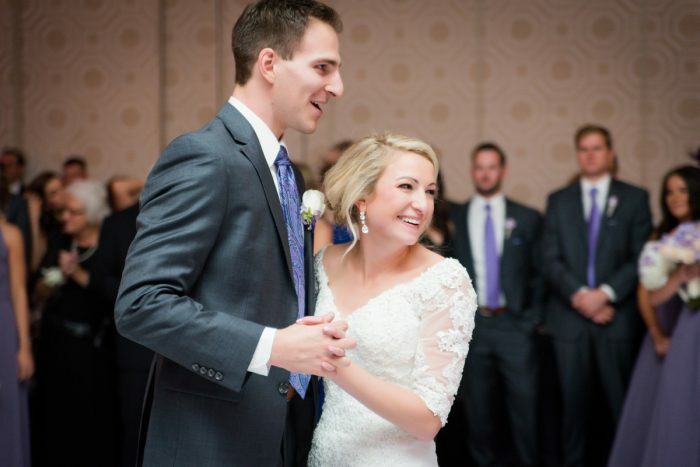 We got engaged the day after Thanksgiving when I thought it was a Parkinson’s fundraiser. 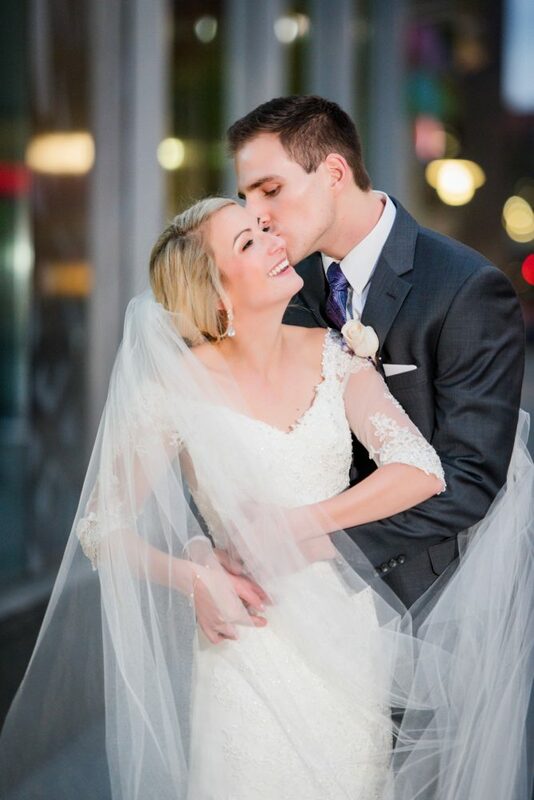 As it turned out, he proposed on Mt. 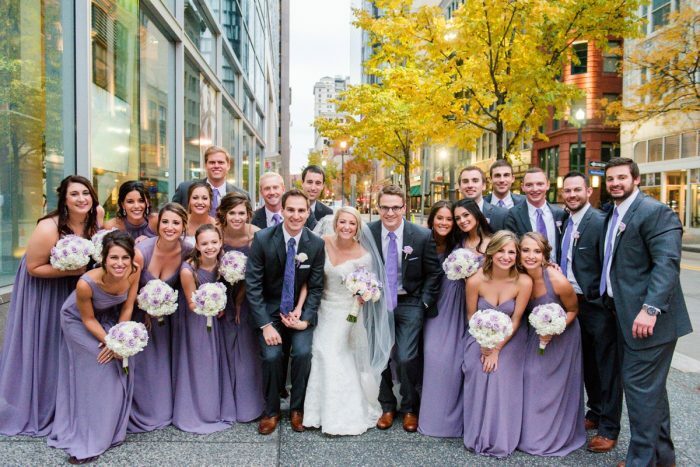 Washington and he had an engagement party waiting for us at the LeMont. 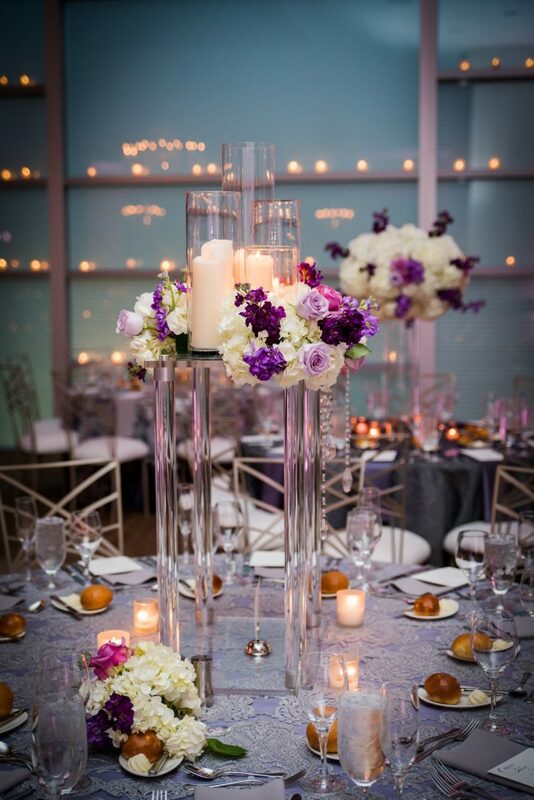 The theme was contemporary with a romantic feel. 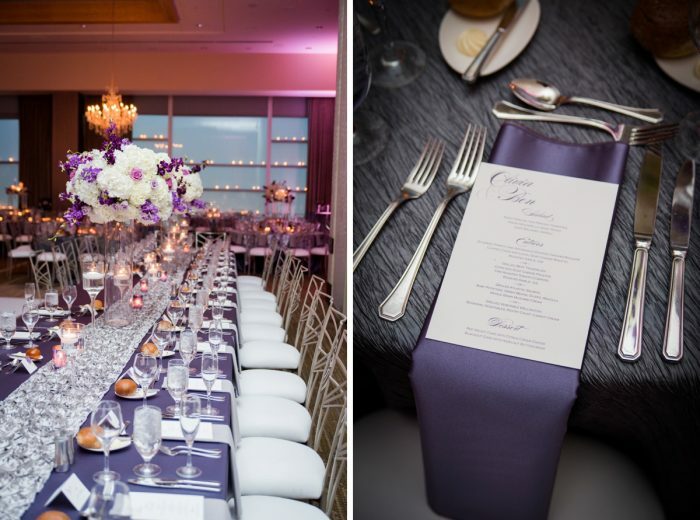 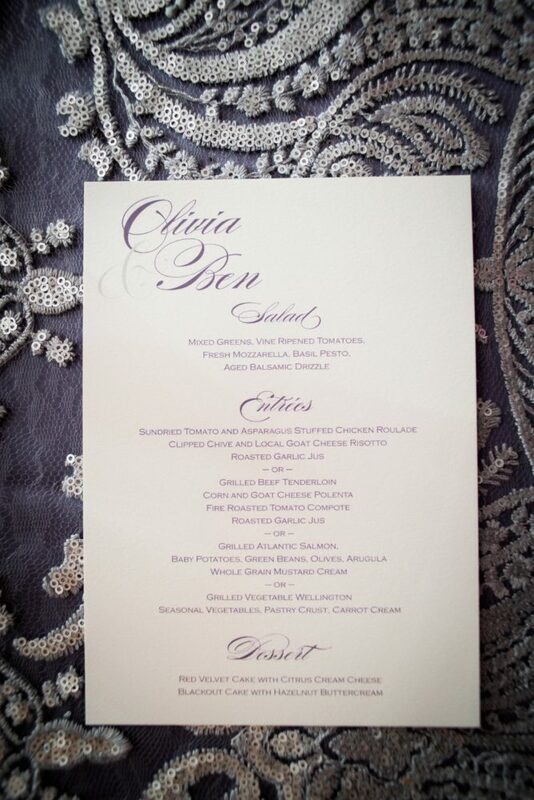 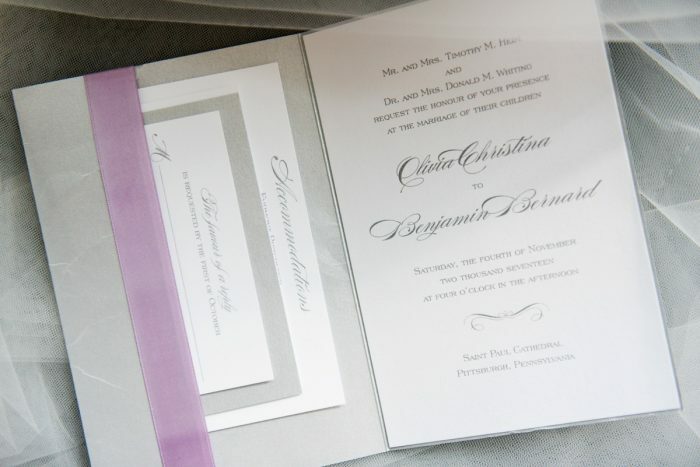 We used different shades of purple and silver in the linens. 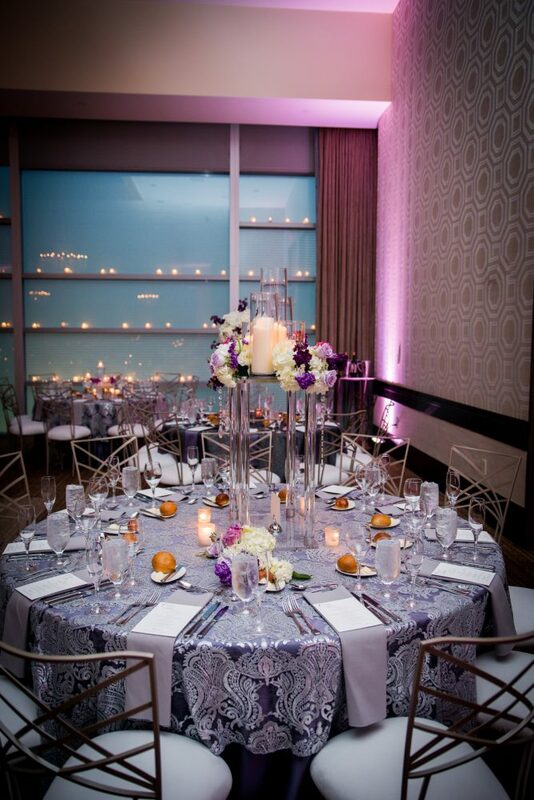 We had high and low centerpieces with lots of votives and uplighting. 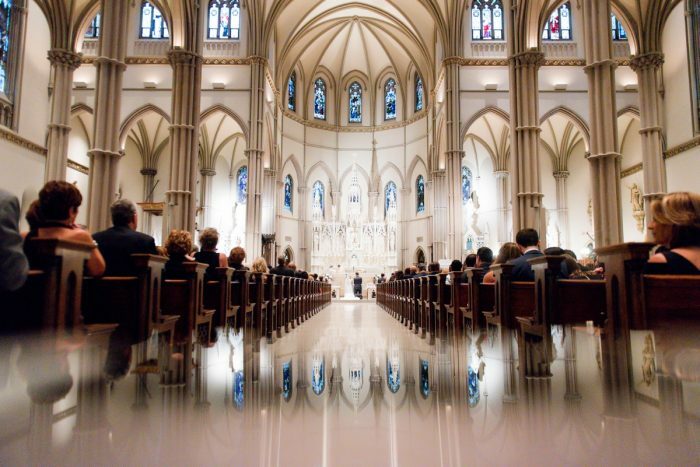 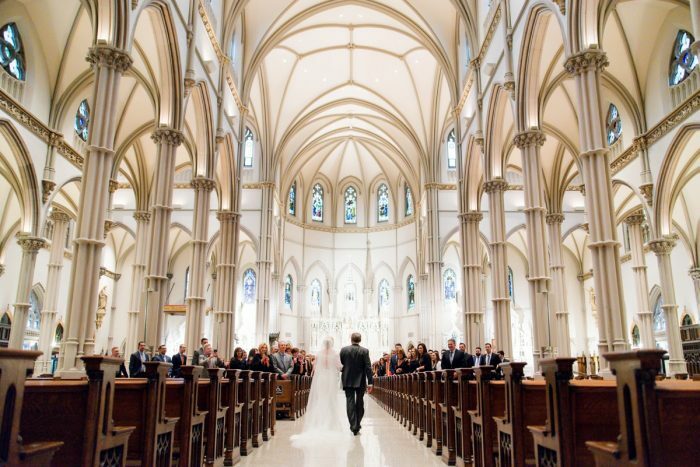 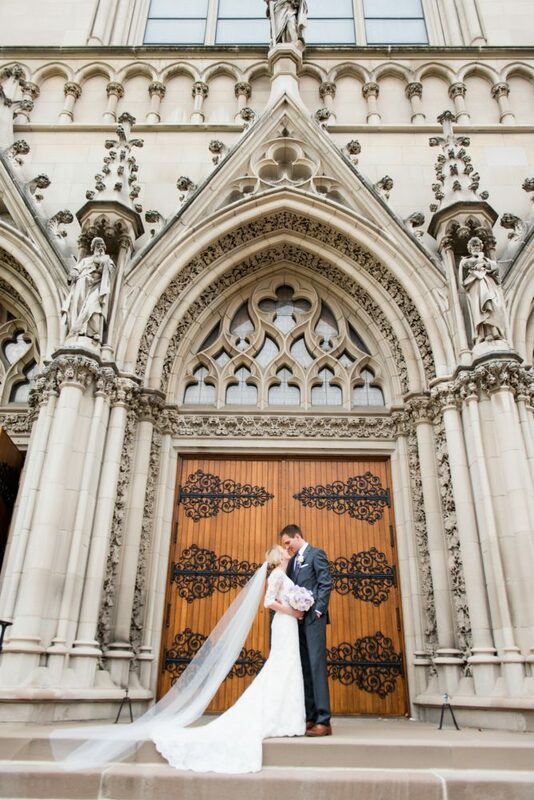 My favorite moment was walking down the aisle at St. Paul’s Cathedral. 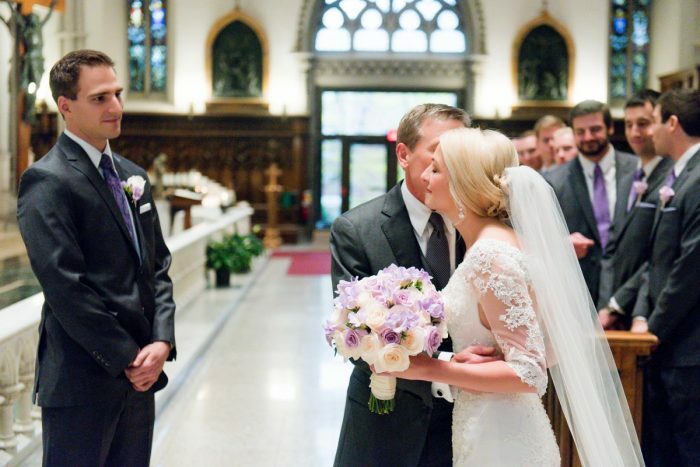 You are so in the moment and in the zone but I wouldn’t trade that for the world to see Ben’s face and walking with my father.